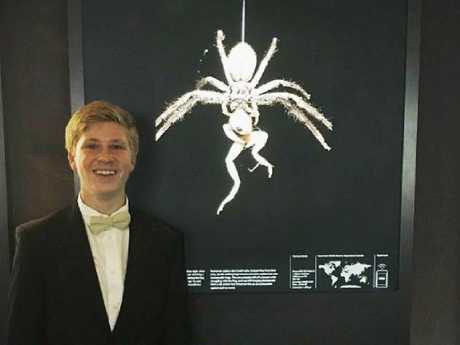 Twitter image of Robert Irwin with his photograph which was highly commended by the 54th Wildlife Photographer of the Year Competition (2018). THE son of Australia's legendary crocodile hunter Steve Irwin has been highly commended at Britain's prestigious Wildlife Photographer of the Year competition. 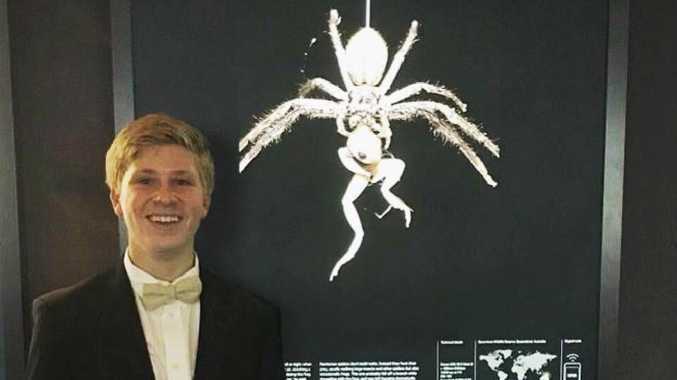 Robert Irwin, 14, was praised for his dark image of a hand-sized huntsman spider mauling an unfortunate desert tree frog. The competition attracted 45,000 entries from professionals and amateurs across 95 countries. Robert was highly commended in the 11-14 Years Old category for his photo titled The Catch. "So very proud for my photography to be highly commended in the world's most prestigious wildlife photography competition, 'Wildlife Photographer of the Year' here in London," the teenager captioned a post on Instagram. "Thrilled that my photo will be part of a gallery going worldwide to hopefully inspire other young people to take up photography and appreciate the natural world." The nature photography prodigy snapped the striking shot at a remote swamp on northern Queensland's Cape York Peninsula. "She (the spider) was hanging by her silk anchor line from a branch, her fangs still inserted in the now-dead desert tree frog," the entry read. "The likelihood is that the Holconia spider had been knocked off balance by the frog's struggling and had saved herself from crashing to the forest floor by the silk anchor line she had already set. 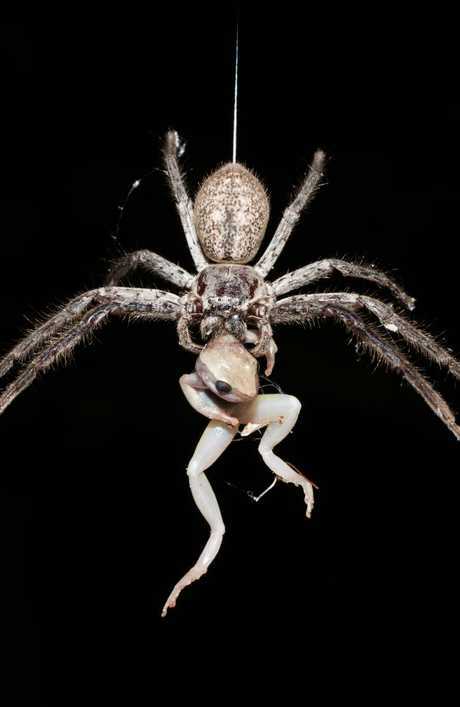 "Whether the spider managed to get to a solid feeding perch, fell to the ground or sucked the nutrients out of the frog while suspended, Robert can only wonder, as he eventually had to leave her to it." 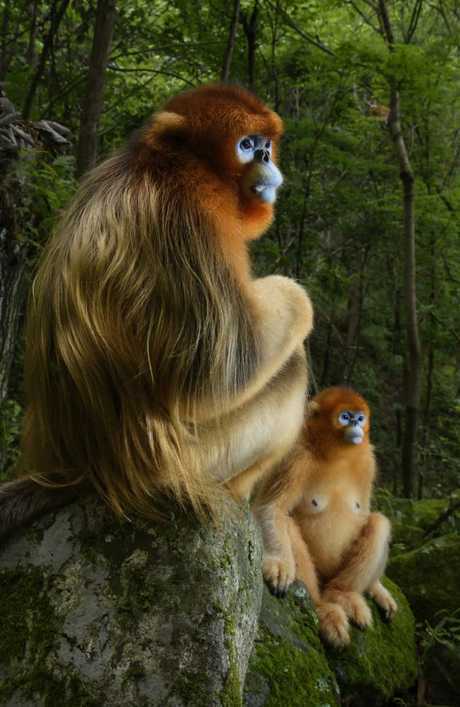 Dutch photographer Marsel van Oosten won the overall competition after capturing a pair of Qinling golden snub-nosed monkeys. "It took many days to understand the group's dynamics and predict what might happen next, but finally his perseverance paid off with this gift of a perfect situation, with a perfect forest backdrop and perfect light filtering through the canopy," the entry read. "A low flash brought out the glow of the male's golden locks to complete the perfect portrait." Chair of the judging panel Roz Kidman Cox sung praise for the striking image. "It is an artwork worthy of hanging in any gallery in the world," Ms Cox said.